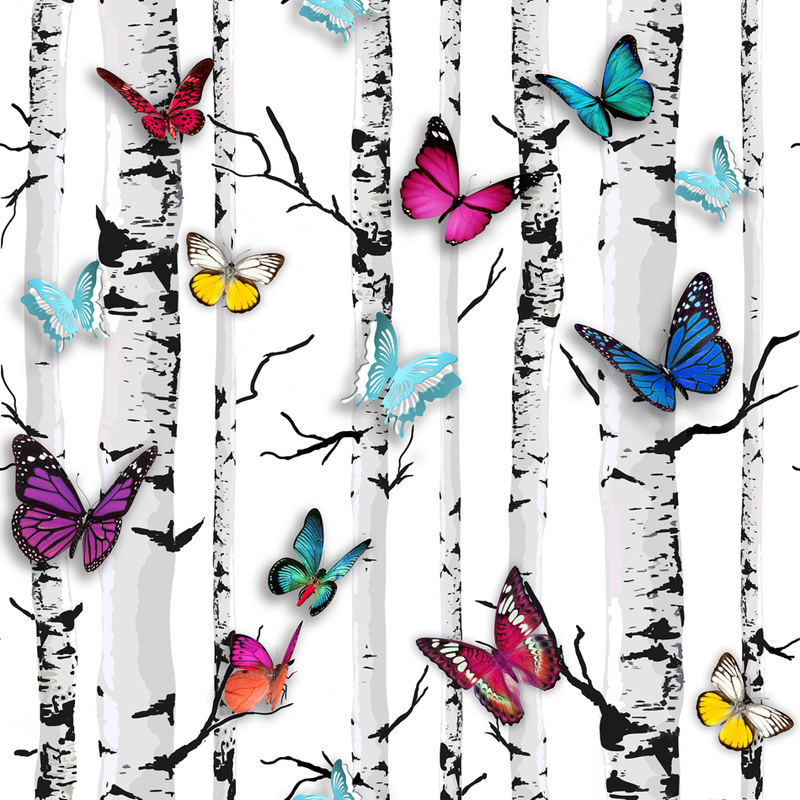 In Emperor’s Garden, stems of white birch trees are accented by an array of colourful butterflies. Butterflies are one of the hottest trends in home decor this Spring/Summer! 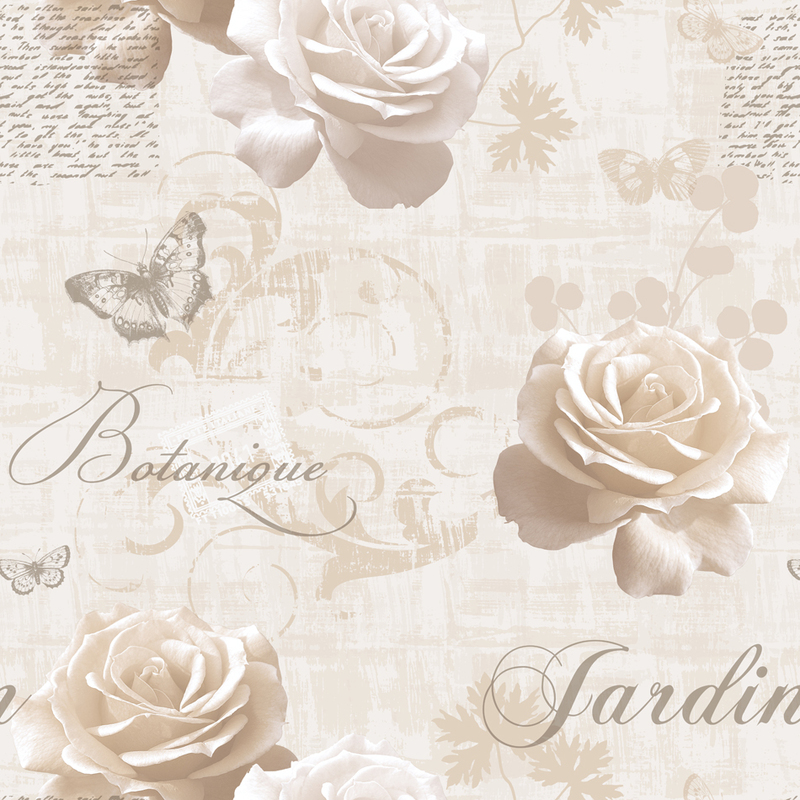 Botanical Garden is a romantic collage of photographic roses in full bloom, antique scrolls, and soft lines of handwriting, accented by butterflies and shimmering metallic details. Available in silver, pink, blue, and cream. 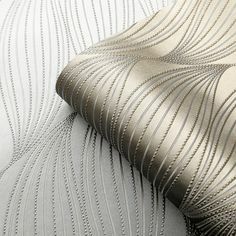 Angelica Trail is an elegant and contemporary trail design featuring flowing tendrils of orchids, accented by long grasses and shimmering metallic details on a textured background. Available in purple, blue, natural and red. 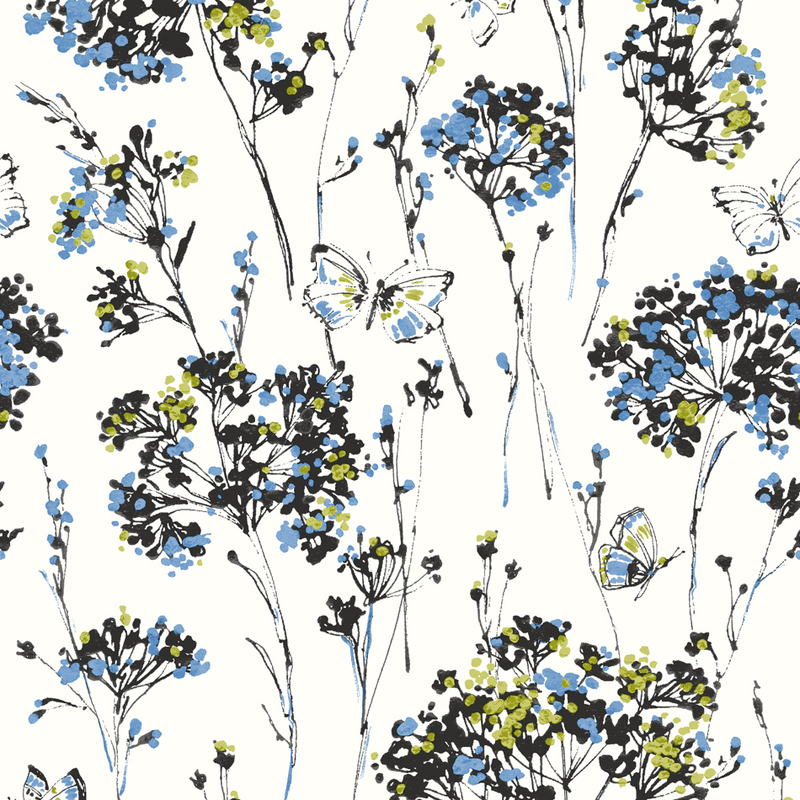 Butterfly Meadow is a soft, painterly design in which delicate Achillea flowers mingle with dancing butterflies. 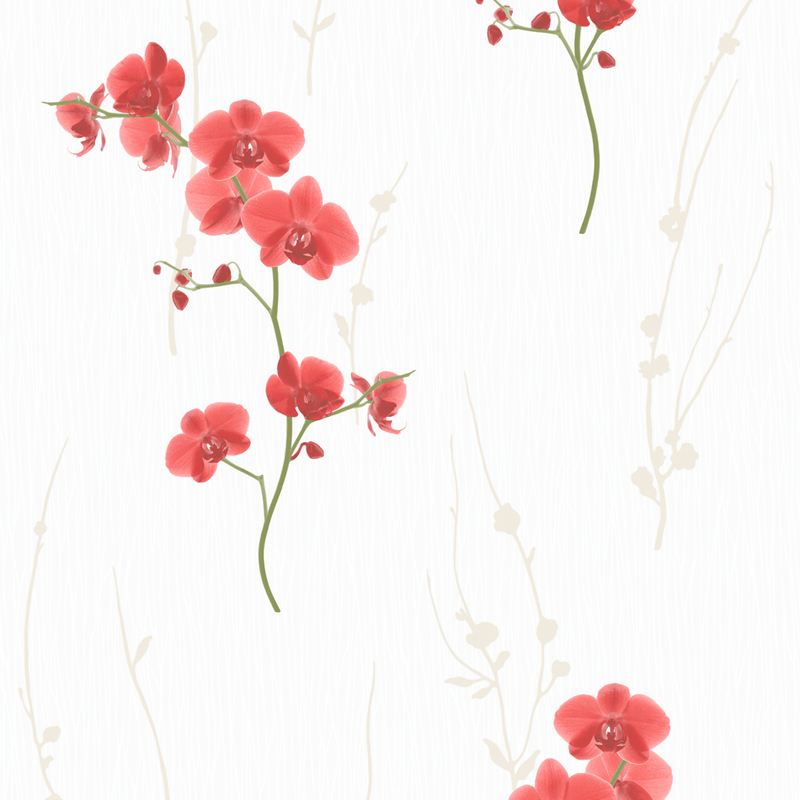 Available in sky, grass, berry, yellow, natural and silver. 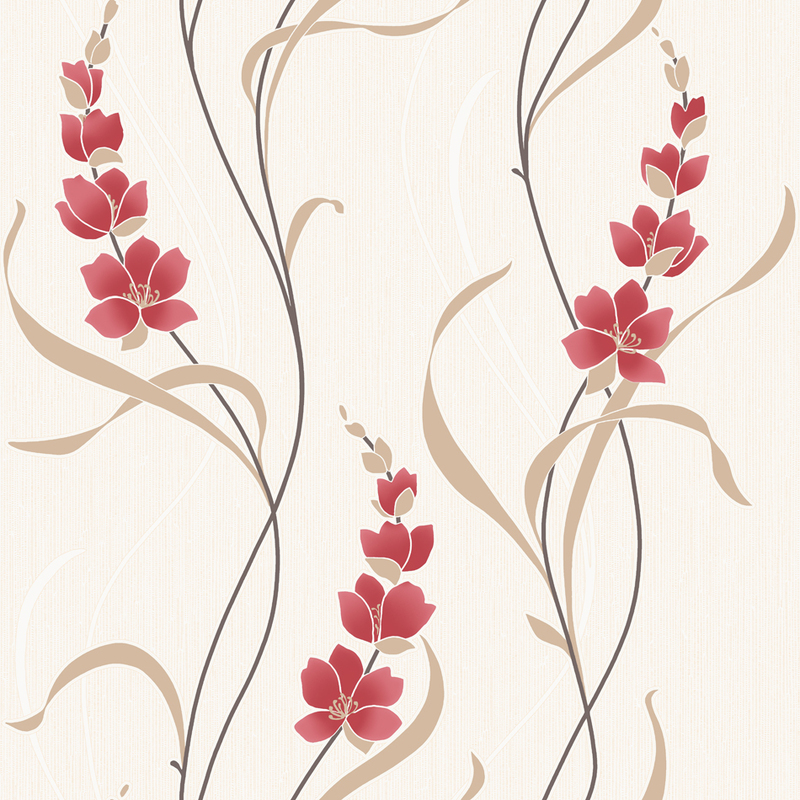 Orchid is a naturalistic design of orchid floral stems in rich colours, accented with subtle shadows of sprigs and set on a textured background. Available in blue, pink and red. 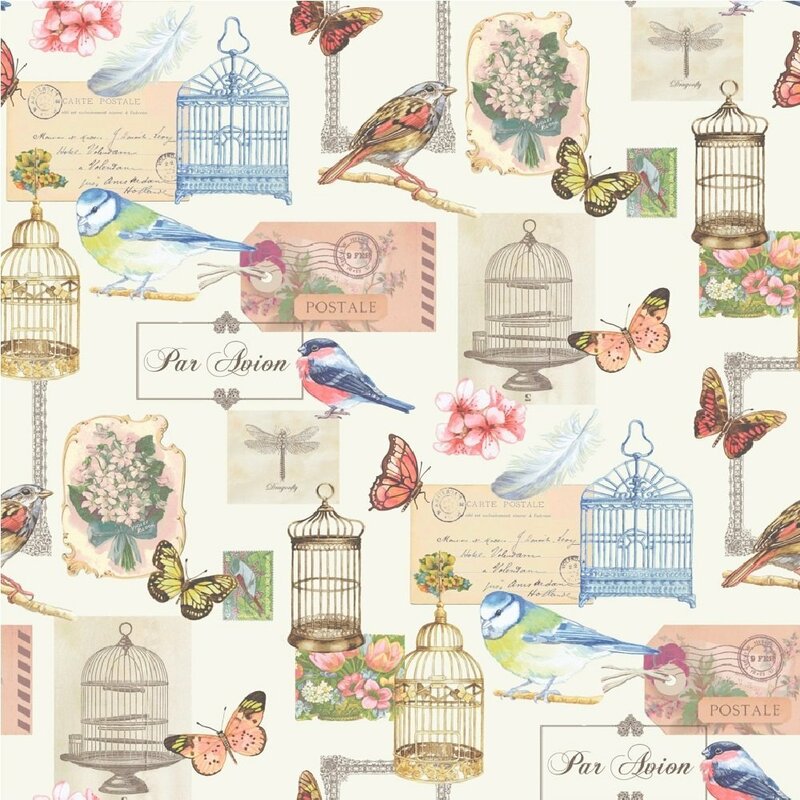 Parisian Birdcage is a beautifully styled collage of vintage birdcages, butterflies, white floral bouquets, postcards with delicate French handwriting, along with a few little songbirds. Coloured in soft pastels and beiges. Rose Postcard perfectly captures the romance of a bygone era. 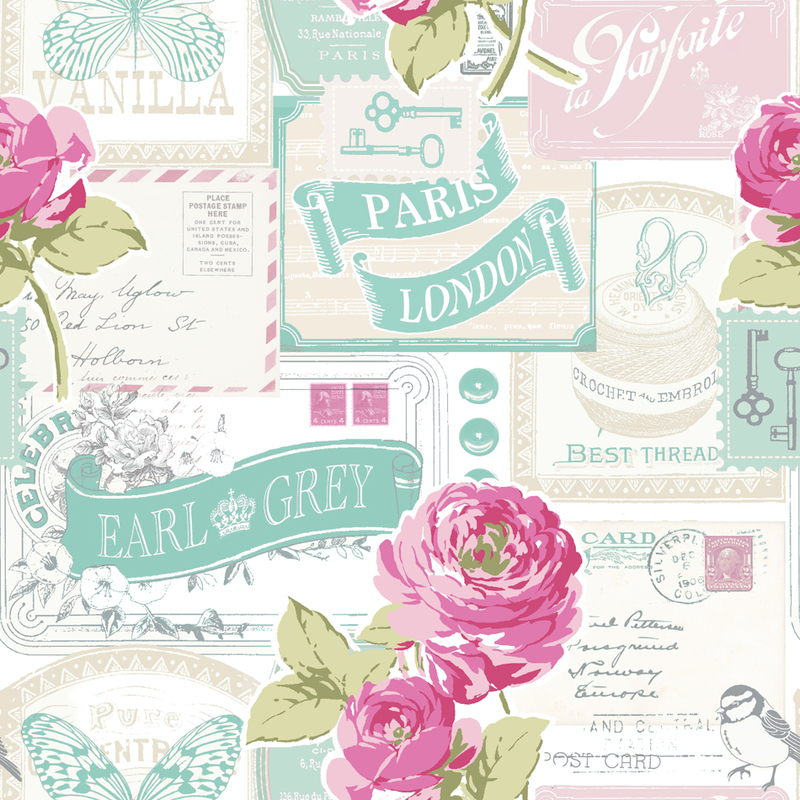 English roses in full bloom mix with pastel-coloured butterflies, handwritten letters, and tea and other treasures in vintage packages. Styled in rich rose, duck egg, and light taupes and greys. Additional colourways to the images shown are available. For more information, please call us at (01282) 507 077 or email us at info@muriva.com. 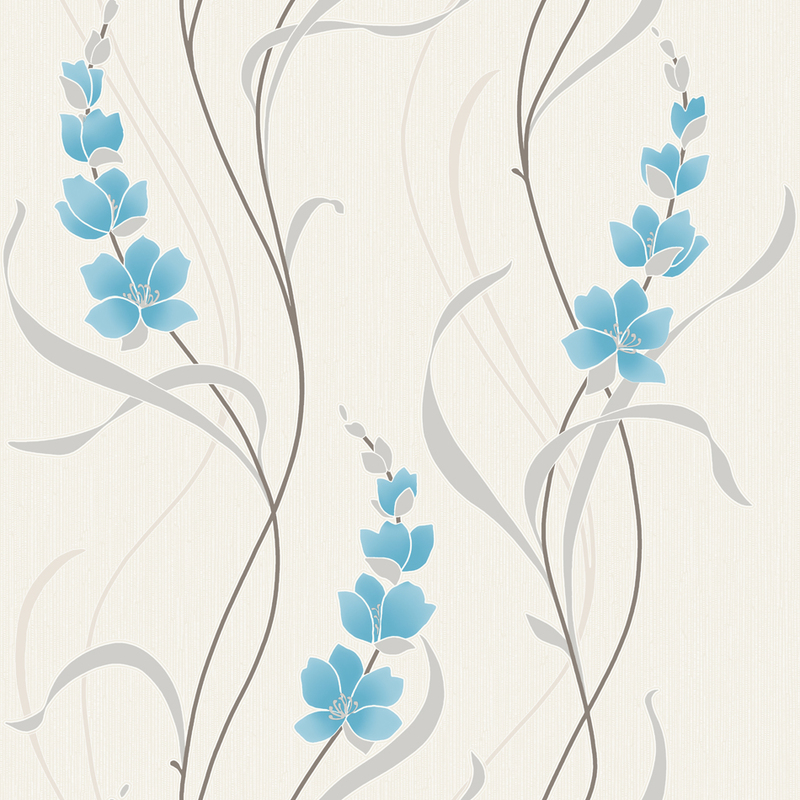 Order a sample from 50p per item and see how Muriva wallpaper can create a stunning feature in your home.